November 9, 2008- Brush Fire in North Manheim Twp. November 9, 2008- At 10:52 stations 2 & 4 were dispatched to assist Districts 56 (Orwigsburg) and 42 (Deer Lake) on a Brush Fire at 247 Ranch Road, North Manheim Twp. Tanker 738 was requested for their water, and Engines 732 and 737 were requested for their manpower to assist at the scene. Tanker 738 went to the area of 94 Ranch Road and assisted Chief 723 with attacking the fire from the opposite end of the field while Engine 737 went to 196 Ranch Road and protected exposures. Engine 732 assisted with Engine 56-10 on suppressing the fire. 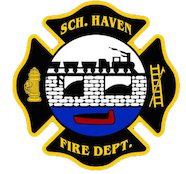 S.H.F.D. was out of the borough for about 1 hour.